One of my favorite things about summertime is all the gorgeous summer fruits—like apricots, plums, cherries, nectarines, and peaches. My go-to store for in-season fruits and vegetables is Monterey Market; a local grocery store in North Berkeley (1550 Hopkins Street, Berkeley) that supports local farmers and provides fresh produce and other groceries. 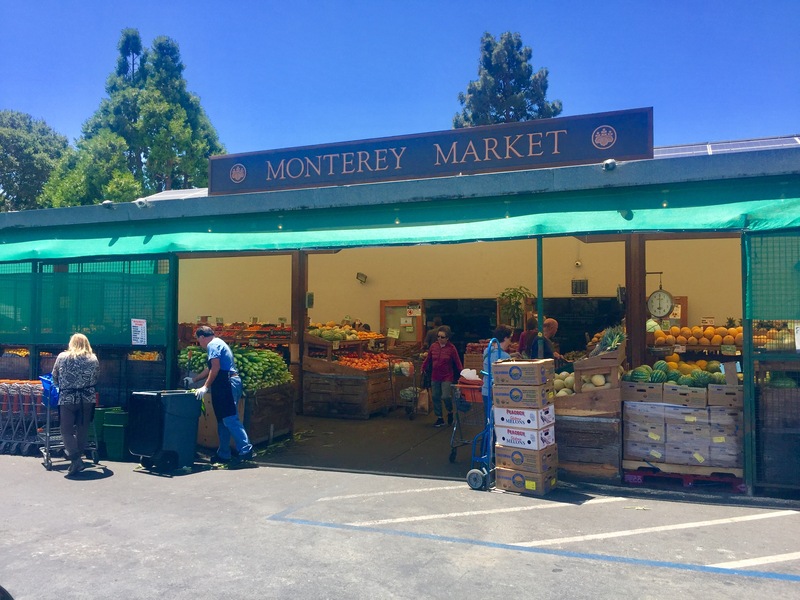 The store has been a family business since 1961 and features local farmers’ produce, which is one of the reasons why supporting Monterey Market is so important to me. Since we so easily have access to organic food through many chain and ‘big name’ stores in the area, I think it’s important that we continue to support our local and family-run businesses, and to appreciate what they do for our communities. The neighborhood surrounding Monterey Market is absolutely adorable. With a coffee shop and a delicious pizza parlor within walking distance, the area is always filled with families and people from surrounding cities. There is no doubt that you will see familiar faces when shopping at Monterey Market, which makes it feel even more special. My kids grew up coming to Monterey Market with me after school and they still talk about the many memories they have about grocery shopping at the market. At any point in the year you can find Monterey Market’s produce in my kitchen, and I feel happy to be feeding my family while also supporting local farmers. I have been shopping at Monterey Market for nearly fifteen years, and I am so grateful to have a local store that provides delicious and organic produce to our community.